Launched in 2012, Louis Vuitton’s annual Objets Nomades collections allows leading designers to create pieces that channel the brand’s dedication to craftsmanship and quality. For the first time, this year’s Objets Nomades have been joined by Les Petits Nomades – smaller, decorative objects designed specifically for the home. 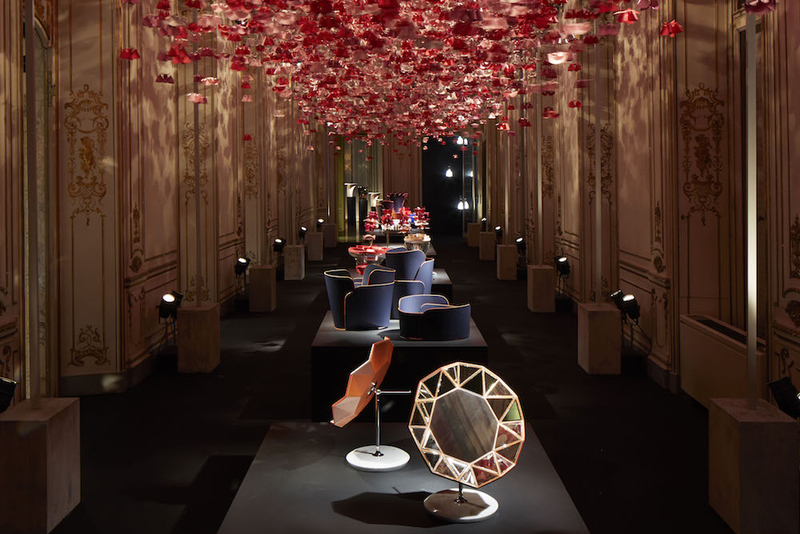 The work of such celebrated names as Humberto & Fernando Campana, the Swedish design house Atelier Oï, Patricia Urquiola and Marcel Wanders, the new collection is now on display at the Fuori Salone in Milan. In their re-scaled, domestic form, each object is a concentrated mixture of the designer’s unique vision and Louis Vuitton’s craftsmanship. The contrasting visions show the adaptability of the materials, and how they can be re-formed to be both functional and elegant. Each piece demonstrates an attention to detail, in the minute elements of the design, that is animated by an inventiveness, their voices undiminished by their size. Here, Port talks to the designers who re-imagined the brand’s iconic leather into petals, diamond mirrors and origami flowers. The project is concentrated on the ornamental and the objects are meant to integrate a home interior with an ornamental, but still functional, touch. We looked to nature for inspiration and a flower pattern that we derived from the monogram of Louis Vuitton. 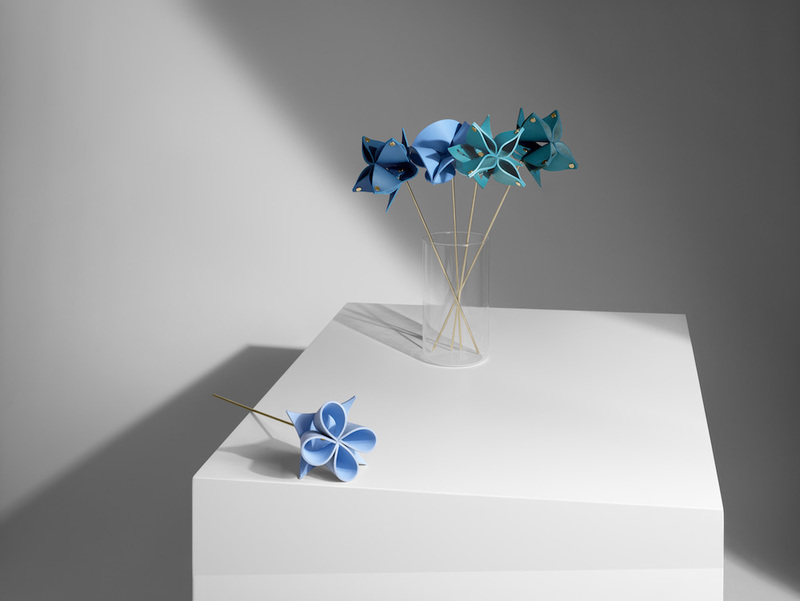 A bunch of flowers are a traditional present and this brought us to the idea of creating durable leather versions through being faithful to our creative processes based on our material manipulation – thinking how does a flat leather piece become three-dimensional and a flower? This way of working represents for us a direct association with Louis Vuitton’s know-how and ours. 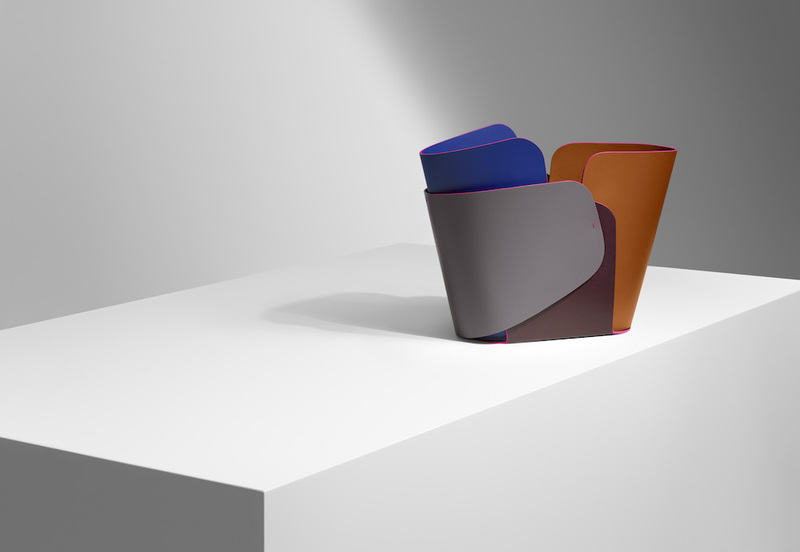 Each overlay vase is the meeting of only four sheets, expertly assembled in soft and durable Louis Vuitton leather. With harmonious and full contrasting colours, the bowls are all individually handmade. Each is unique, an original sculpture and a beautiful example of the maison’s leather workmanship. It is a simple object whose value is given by the material and the way it was made. We collaborated with Louis Vuitton to create mirrors that have been designed in two sizes. 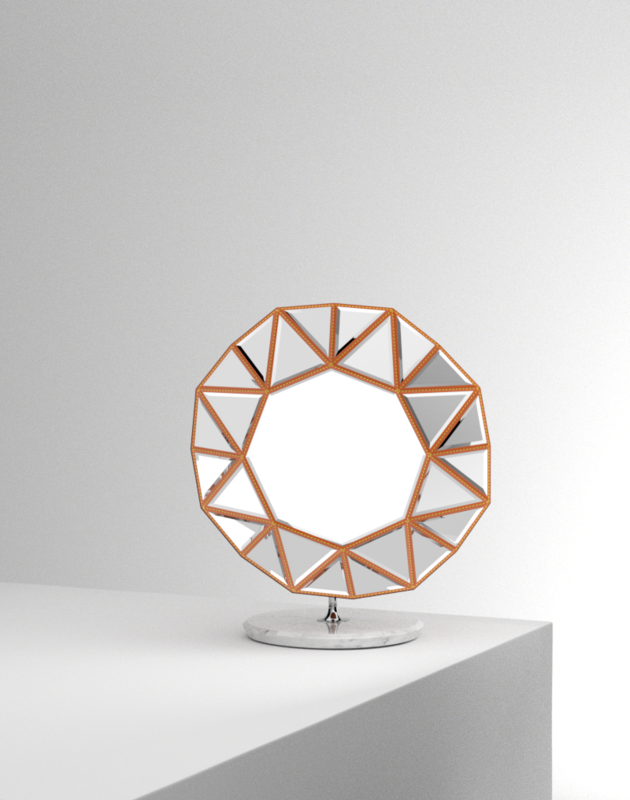 Both feature a central octagon that is circled by 25 smaller triangular mirrors and use dazzling geometric design to create poetic reflections. These mirrors playfully combine a rigorous geometrical design with subtle bright reflections revealed through the effect of surrounding light, bringing poetry and enlightenment to any room. We were inspired mostly by the Louis Vuitton brand. These mirrors express Louis Vuitton’s long standing tradition of producing luxurious, iconic items. The company has a heritage of creating with attention to detail. To be able to reflect our individual nature and human spirit, while combining that experience with the craftsmanship that Louis Vuitton has become known for, is priceless. Each mirror’s faceted rigid structure is enveloped in Louis Vuitton’s rich Nomade leather and reveals Louis Vuitton’s emblematic contrasting stitching. The mirrors are then mounted on a heavyweight brass stand with a marble foot. The Tropicalist vase is a symbolism between Louis Vuitton’s flower icon and our Brazilianness – we like the idea of hybrids and conversations between different cultures. The design was inspired by the natural geometric composition of the quesnelia and bromeilad flowers found in South America, and also by wild and joyful natural elements. Nature is for us one of the most important inspirations. 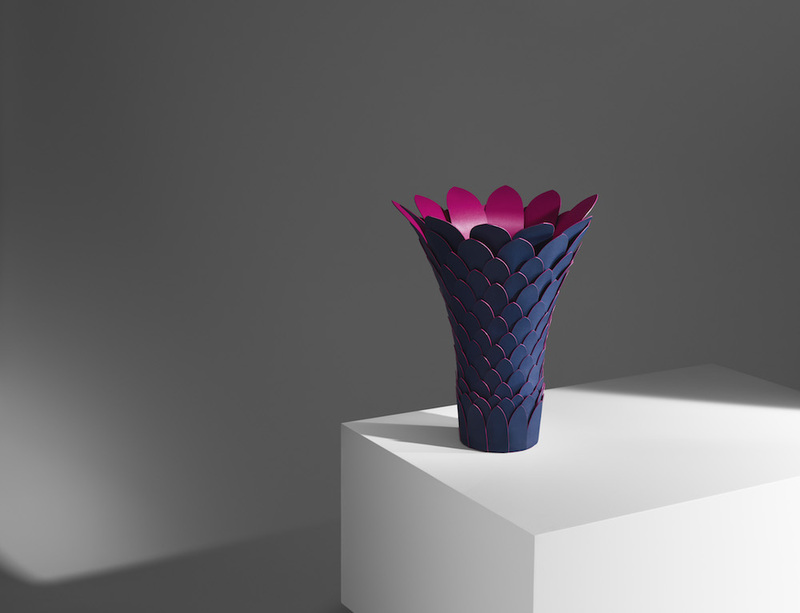 A construction of 176 two-tone leather-covered metal ‘petals’, the Tropicalist Vase is a statement to the different ways that Louis Vuitton’s materials can be crafted.